16"1 - 0 : This goal owes a lot to Kante's vision as he plays a brilliant disguised reverse pass into the box for Higuain, who doesn't even need to take a touch, he just runs onto it and fires past Lossl at his near post. Sharp finish from the striker. 45" 2 - 0 : Azpicilueta drives forward towards the box. He's tracked by Kachunga, who appears to trip him right on the edge of the area. No mistake from Hazard as he fires into the left corner as Lossl dives the other way. 66" 3 - 0: Hazard surely puts an end to Huddersfield's hopes with a fine goal. He effortlessly controls a pass from Barkley, takes the ball around Lossl and then fires into the far side of the goal. 69" 4 - 0 : After Hazard scored his second, Higuain follows suit, curling a brilliant first-time shot into the corner from around 20 yards out. It took a deflection off Kongolo which helped it towards goal. Chelsea have only lost one of their last 16 home Premier League games (W9 D6). 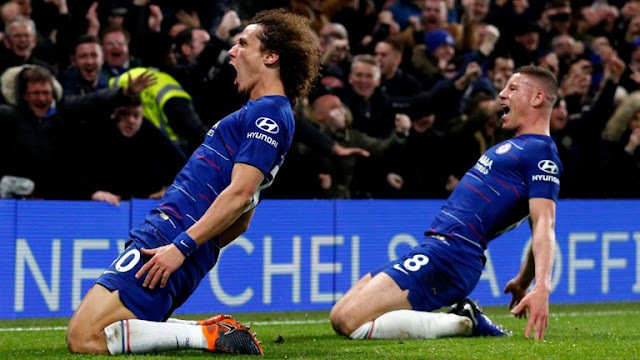 Chelsea scored five goals in a Premier League game for the first time since December 2017, when they beat Stoke 5-0 at Stamford Bridge. After winning their first ever Premier League game in London (3-0 vs Crystal Palace), Huddersfield have won none of their last seven trips to the capital in the competition (D1 L6), netting just one goal in that time. 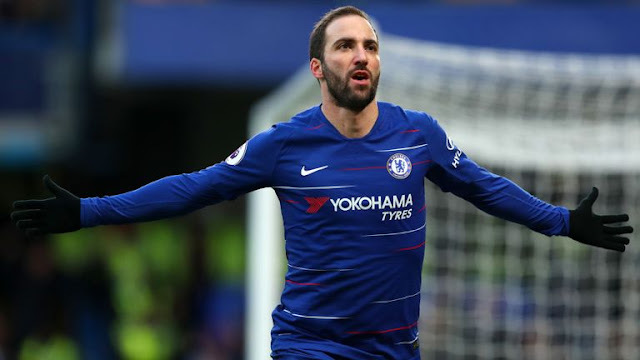 Chelsea striker Gonzalo Higuain has scored 38 goals in 37 league appearances under manager Maurizio Sarri. 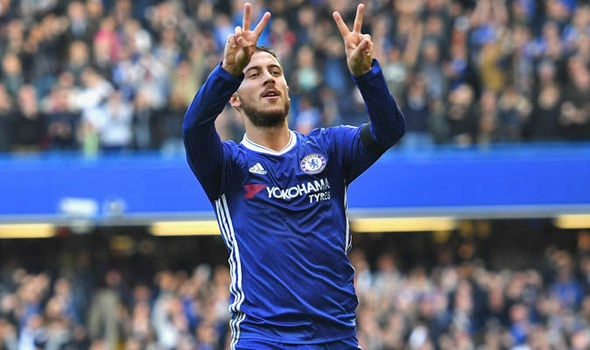 Eden Hazard registered his 200th and 201st goal involvements in his top-flight league career (117 goals, 84 assists), with 130 of those coming at Chelsea. Gonzalo Higuain became the first Chelsea player to score twice on their home league debut for the club since Mario Stanic vs West Ham in August 2000. Chelsea's N'Golo Kante provided two assists in a single league match for the first time in his top-flight career.